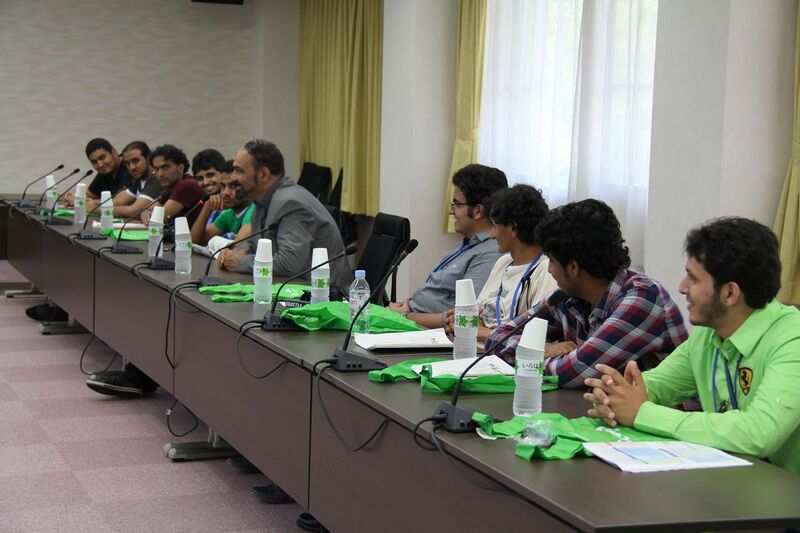 On Thursday, June 13, Jazan University delegation from Saudi Arabia visited Mie University. The delegation included one professor and 13 students from the Faculties of Computer Science and Information System (Department of Computer Science, Information System, Computer Network Engineering). They visited laboratories of Prof. Hideo Kobayashi, Prof. Shinji Tsuruoka, Prof. Fumitaka Kimura and Prof. Naoki Isu, Graduate school of Engineering, the students of both universities had an interactive exchange. In the afternoon, they had courtesy visit to Prof. Atsumasa Uchida, the President of Mie University at the conference room, University Research Hall. Along with Prof. Hiroki Hori, the Executive Vice President for International Affairs, they had a productive discussion on their study themes in a pleasant ambience.